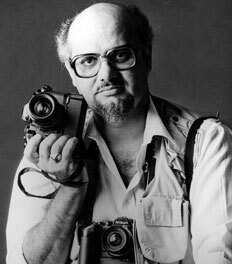 Born in Nairobi, Kenya in 1943, as the second son of eight children to a poor railway engineer of Punjabi descent, Mohamed Amin was obsessed with photography right from the start. At thirteen he was shooting for his school newspaper and The Tanganyika Standard and covering what become the East African Safari Rally. Two years later, work was appearing in international newspapers and he had arrangements with the BBC, Reuters and Visnews, among others. According to his son, Salim Amin, Mo’s experience as a stills photographer made him a better moving-film cameraman than some rivals who had never done stills. In 1962, the year he set up the now legendary Camerapix photo agency, Mo received a tip that two prominent South Africans in the anti-Apartheid movement had escaped prison ad had flown to Dar-es-Salaam in Tanganyika (Tanzania) where new President Julius Nyerere offered the sanctuary. It was the first of many scoops. Mo’s luck was legendary. Good fortune, tip-offs, planning and taking calculated risks all meant he was where the action was, sometimes under gunfire yet almost always getting his film out. Mohamed Amin will best be remembered for helping to bring attention of the world to the famine in Ethiopia and the Horn of Africa in 1984 wit BBC Television reporter Michael Buerk, a long-time colleague. That’s when fame really started. Filming starved refugees, he presented the horrors of the situation yet preserved the dignity of this very proud people. The seven minute clip was shown on BBC’s Six O’Lock news on 24 October 1984. The pictures were stark and shocking, but the reaction, unprecedented. As a result, tens of millions of dollars were donated to famine relief and water projects. Millions of people worldwide saw his images and, with Mo’s energy, the project "We Are the World" was born, bringing in more donations and aid. Mohamed Amin returned to Ethiopia a few months later to do a follow-up story. He was, however, banned by the Mengistu government for also doing a story on the rebels. The ban was lifted in 1991 following the fall of the Mengistu regime. He traveled back to Ethiopia to cover the fall. Covering the story among ongoing war he was hit by a rocket and injured both arms. Through a nightmare of heavy blood lost and war raged hospitals, surgeons in Nairobi finally managed to save his right arm, but not his left. Everybody thought that this career was over, but Mo instead began an international search for a prosthetic arm and a modified camera, that he could work with one hand. A few months later he went to the United States where John Billock designed an arm for him that could operate a camera. He was busier at work after that than before! Amin’s life was cut short when a hijacked Ethiopian Airlines jet, on which he was aboard, crashed on November 23, 1996.The pilots attempt to land on water off a Comoros Island resort was recorded by a South African tourist and shown around the world. Mohamed Amin died as he lived, always making news. Reuters launched the "News World Mohamed Amin Award" in 1997 to reward acts of outstanding courage, professional skill or initiative in bringing news. The American Academy of Orthotists & Prosthetists established the "Mohamed Amin Humanitarian Service Award" to honor humanitarian spirit among disabled persons.